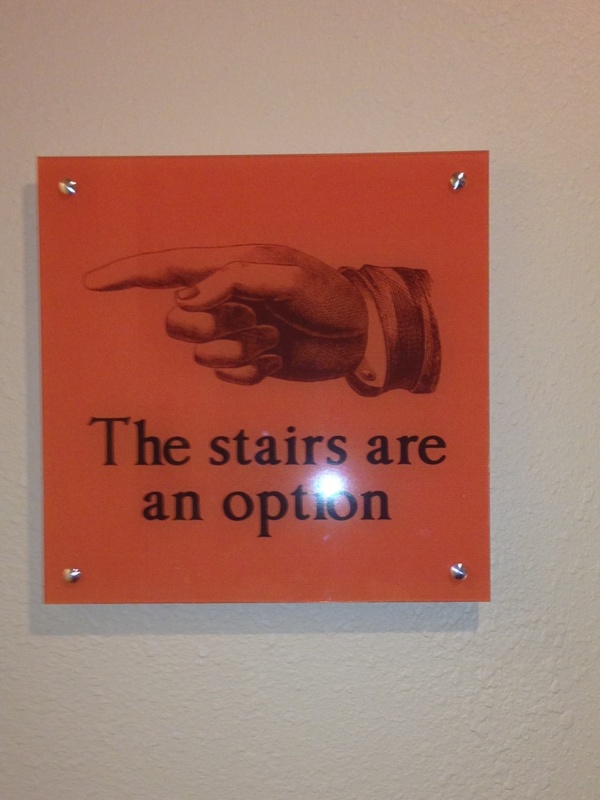 I love the signage prompting stair usage at the Winter Park Health Foundation. 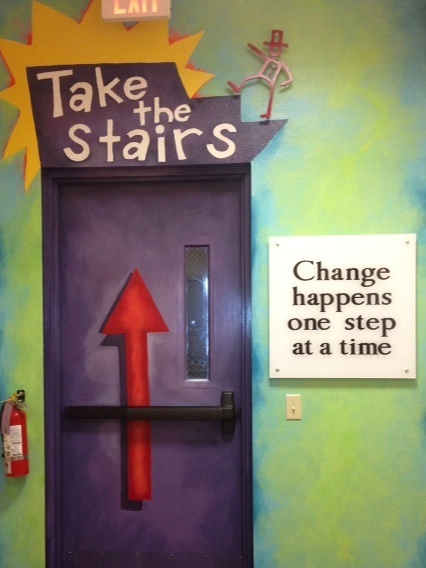 The small sign is located next to the elevator and just makes note that the stairs are an option and the stairway door is a little less subtle! Kicking off my weekend right! !